Bu çalışmanın amacı, ruhsallık ve etik alanyazınını gözden geçirmek ve ruhsallığın etik ve liderlerin/çalışanların işyerinde ahlaki davranışlarını nasıl etkilediğini araştırmaktır. Bu kapsamda 2008 - 2018 yıllarını kapsayan makaleler incelenmiş, ruhsallık ile etik arasındaki ilişki ampirik ve kavramsal olarak ortaya konulmuştur. Ayrıca, karar verme, sürdürülebilirlik, dünya sorunlarında oynayabilecekleri rol, din ve laiklik açısından ruhsallık ve etik incelenmiştir. Bu çalışma, işyerinde etik ve ahlaki davranışlar üzerinde ruhsallığın etkisini ortaya koymakta, etiği iş hayatına yaymak için ruhsallığın işe dâhil edilmesi adına öneriler ve tavsiyeler sunmaktadır. The purpose of this study is to review spirituality and ethics literature and to examine how spirituality relates to ethics and leaders/employees’ ethical behaviors at work. Within this scope, the papers in the years of 2008 – 2018 were examined and the relationship between spirituality and ethics were laid out empirically and conceptually. Also, spirituality and ethics were examined in regard to decision making, sustainability, the role they can play in world problems, religion, and secularism. This paper puts forward the effect of spiritualty on ethics and ethical behaviors in the organization, providing recommendations and suggestions to incorporate spirituality to help ethics spread at work. Abram, A. (2009). Ethics and Spirituality: Self-sufficiency or symbiosis?. Studia Bobolanum, 4, 69-81. Ananthram, S., & Chan, C. (2016). Religiosity, spirituality and ethical decision-making: Perspectives from executives in Indian multinational enterprises. Asia Pacific Journal of Management, 33(3), 843-880. Ayoun, B., Rowe, L., & Yassine, F. (2015). Is workplace spirituality associated with business ethics?. International Journal of Contemporary Hospitality Management, 27(5), 938-957. Blumenfeld‐Jones, D. (2004). The hope of a critical ethics: Teachers and learners. Educational theory, 54(3), 263-279.Burkhardt, H. (2010). Spirituality and Ethics. European Journal of Theology, 19(1). Chippendale, P. (2001). On values, ethics, morals & principles. A values Inventory. Corner, P. D. (2009). Workplace spirituality and business ethics: Insights from an eastern spiritual tradition. Journal of business ethics, 85(3), 377-389. Creighton-Smith, B. A., Cook, M., & Edginton, C. R. (2017). Leisure, ethics, and spirituality. Annals of Leisure Research, 20(5), 546-562. Dhiman, S. K. (2016). Ethics and Spirituality of Sustainability: What Can We All Do?. The Journal of Values-Based Leadership, 9(1), 11. Ebrahimi, J., Kanani, Y. G., Tabari, M., & Seydanlou, O. (2017). 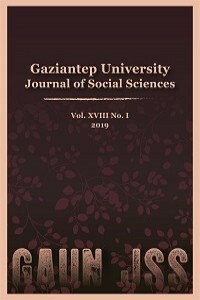 Investigating the Relationship Between Professional Ethics and Spirituality at Work with Social Responsibility (Case Study: Gas Company of Mazandaran Province). JIMS8M: The Journal of Indian Management & Strategy, 22(1), 25-31. Edginton, C. N., & Kangas, K. E. (2014). World Heritage Sites as Sacred Places. International Leisure Review, 3(1), 53-74. Escobar, D. A. (2011). Amos & postmodernity: A contemporary critical & reflective perspective on the interdependency of ethics & spirituality in the Latino-Hispanic American reality. Journal of business ethics, 103(1), 59-72. Fluker, W. E. (2008). Spirituality, ethics, and leadership. Spirituality in Higher Education Newsletter, 4(3), 1-6. Greene, H. F. (2013). The Ethics and Spirituality Initiative in Connection with the United Nations Sustainable Development Process. Tattva-Journal of Philosophy, 5(1), 1-35. Guillory, W.A. 2001. The Living Organization: Spirituality in the Workplace, 2nd edition. Salt Lake City, UT: Innovations International. Issa, T., & Pick, D. (2011). An interpretive mixed‐methods analysis of ethics, spirituality and aesthetics in the Australian services sector. Business Ethics: A European Review, 20(1), 45-58. Kosiewicz, J. (2015). Professional, Spectator, and Olympic Sports in the Context of the Terms Spiritualism and Spirituality, and in the Context of Normative Ethics. Physical Culture and Sport. Studies and Research, 68(1), 43-62. Lowery, C. M., Duesing, R. J., & Beadles, N. A. (2014). A research note on the relationships among spirituality, contextual variables, and perceptions of ethics in the workplace. Journal of Managerial Issues, 408-423. McGhee, P., & Grant, P. (2017). The transcendent influence of spirituality on ethical action in organizations. Journal of Management, Spirituality & Religion, 14(2), 160-178. McPherson, D. (2015). Homo religiosus: does spirituality have a place in neo-Aristotelian virtue ethics?. Religious Studies, 51(3), 335-346. Melé, D., & Fontrodona, J. (2017). Christian Ethics and Spirituality in Leading Business Organizations: Editorial Introduction. Journal of Business Ethics, 145(4), 671-679. Mohajeran, B. (2014). Structural modeling of relationship between professional ethics and spirituality at work with social responsibility among nurses in the public hospitals in Kermanshah city. Quarterly Journal of Nursing Management, 3(2), 20-29. Montazeri, M., Borhani, F., & Tavakkoli, S. N. (2017). Spirituality in Treatment and Medical Ethics. Journal of Research in Medical and Dental Science, 5(6), 131-136. Motlagh, M., Jamali, A., & Ghoorchian, N. (2016). The role of spirituality and ethics in higher education quality improvement. Management Science Letters, 6(5), 341-350. Mukherjee, S., Bhattacharjee, S., & Singha, S. (2016). Workplace Spirituality: A Paradigm Shift to Ethics from Business. Peltonen, T. (2017). The Challenge and Promise of Spirituality in Organizing and Leading. In Spirituality and Religion in Organizing (pp. 141-154). Palgrave Macmillan, Cham. Pillai, R. (2016). The Complementary Role of Science, Spirituality and Ethics for a New World Order-The Golden Age. Nitte Management Review, 10(1), 1-19. Phillips, G. S., MacKusick, C. I., & Whichello, R. (2018). Workplace Incivility in Nursing: A Literature Review Through the Lens of Ethics and Spirituality. Journal of Christian Nursing, 35(1), E7-E12. Rodriguez-Rad, C. J., & Ramos Hidalgo, E. (2017). Spirituality, consumer ethics, and sustainability: the mediating role of moral identity. Journal of Consumer Marketing, (just-accepted), 00-00. Roof, W. C. (2003). Religion and spirituality. Handbook of the Sociology of Religion, 137-148. Rozuel, C., & Kakabadse, N. (2010). Ethics, spirituality and self: managerial perspective and leadership implications. Business Ethics: A European Review, 19(4), 423-436. Sen, A. (1999). On Ethics and Economics, OUP Catalogue, Oxford University Press, number 9780195627619. Suib, F. H., & Said, M. F. (2017). A review of Islamic work ethics and spirituality concepts in service industry. Journal of Nusantara Studies (JONUS), 2(2), 282-294. Sulmasy, D. P. (2013). Ethos, mythos, and thanatos: spirituality and ethics at the end of life. Journal of pain and symptom management, 46(3), 447-451. Vitell, S. J., King, R. A., Howie, K., Toti, J. F., Albert, L., Hidalgo, E. R., & Yacout, O. (2016). Spirituality, moral identity, and consumer ethics: A multi-cultural study. Journal of business ethics, 139(1), 147-160. Zsolnai, L. (2010). Ethics needs spirituality. In Spirituality and Business (pp. 87-90). Springer Berlin Heidelberg.